Convenient location near key spots in the city, also it is easy to order food from nearby restaurants; spacious rooms and very comforting and friendly staff. The staff were excellent! Very friendly and helpful. Very welcoming inspite of arriving well before my expected time and their check in time, even offered me complimentary breakfast while I waited. I loved their hospitality & approach towards their customer.. Food also quiet good too taste with a couple of famous restaurants around this hotel - Empire & Imperial....!!! Staff is very polite & helpful...!!! 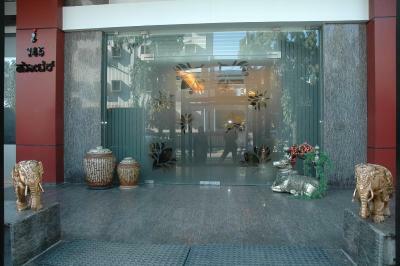 Rooms are very neat & clean and restaurant also has a variety of cuisines & delicious food...!!! It was ok for our needs for 2 nights.. It was cheap, near to airport and train ... Staff was friendly and helpful. There nothing which I like in i145, horrible place to drop in. I'll not recommend anyone to stay in this hotel. i145 Hotel This rating is a reflection of how the property compares to the industry standard when it comes to price, facilities and services available. It's based on a self-evaluation by the property. Use this rating to help choose your stay! Located in Bangalore’s city center and 650 feet from Cubbon Park metro station, i.145’s modern air-conditioned rooms are 0.6 mi from MG and Brigade Roads. It features a fitness center and sauna, concierge services and 2 dining venues. Featuring pleasant pastel shades, the rooms come with a cable TV and broadband internet access. They offer ergonomic workspaces, free newspapers and a tea/coffee maker. 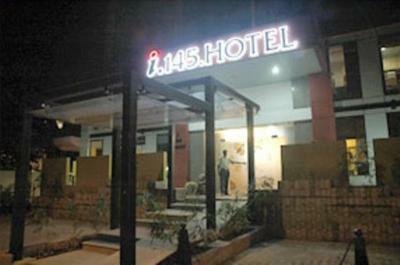 i.145 Hotel is a minute’s walk from the greenery at Cubbon Park and 2 blocks from Vidhana Soudha. It is a 15-minute drive from the commercial district and 22 mi from Bangalore International Airport. Bangalore can be easily explored with the tour and car hire services provided. There is also a business center, a CD/DVD collection and a 24-hour front desk. 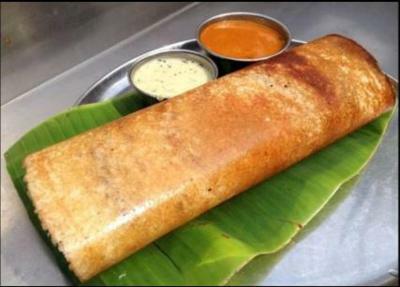 Offering daily breakfast, Curry & Co. provides a casual setting for a hearty Indian or Western meal. Portico Café serves light snacks and beverages for those on the go. When would you like to stay at i145 Hotel? This air-conditioned room offers a spacious layout and a cable TV. Extra bed cannot be accommodated. This spacious air-conditioned room offers a comfy seating area with a sofa, bright interiors and a cable TV. House Rules i145 Hotel takes special requests – add in the next step! i145 Hotel accepts these cards and reserves the right to temporarily hold an amount prior to arrival. A Valid ID proof is required for each of the room occupants. The place could do with some maintenance and better house keeping. Cleanliness in the common areas especially the restaurant. 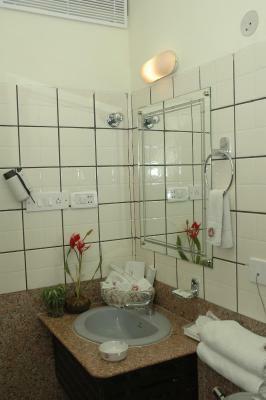 Toilet and Bathroom.. Hotel management should keep good smell things.. They need to omit the list of facilities with a number of items bcos they have mentioned in all their rooms description that it has a lot of things like washing machine, microwave, dishwasher, the list goes on but there is nothing in the small room they have. When we objected all they had to say was that they will let their salesman know about it. Front desk person was very arrogant, not welcoming nature. He behaves as if he is the owner of the property. Room was stinking badly, in think the room treated with pest control. Bed sheet, pillow cover not clean. Wifi connectivity very poor.